In the Res Gestae Divi Augustus (‘The Deeds of the Divine Augustus’), Augustus demonstrates his piety by stating that he was a member of all four major priesthoods in Rome – the Pontifices, Augures, Quindecemviri and Septemviri. There was, however, one Roman religious college that was off-limits to men, even to the pious emperor himself. This was the College of the Vestals, which only had women amongst its ranks. The College of the Vestals was an important institution that served to ensure the well-being and security of Rome. 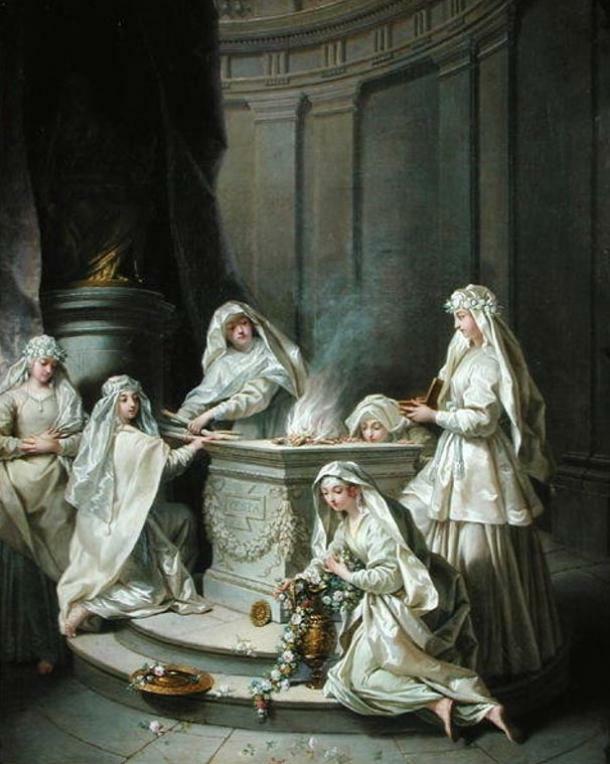 The Vestal Virgins were priestesses of the Vesta, the goddess of the hearth, and one of their most important functions was the maintenance of the sacred fire within the Temple of Vesta on the Forum Romanum. According to the Roman writer Plutarch, the College of the Vestals was established by the second legendary king of Rome, Numa Pompilius. During Numa’s reign, there were only two Vestal Virgins, and Plutarch names the first two Vestal Virgins as Gegania and Verenia, who were afterward succeeded by Canuleia and Tarpeia. 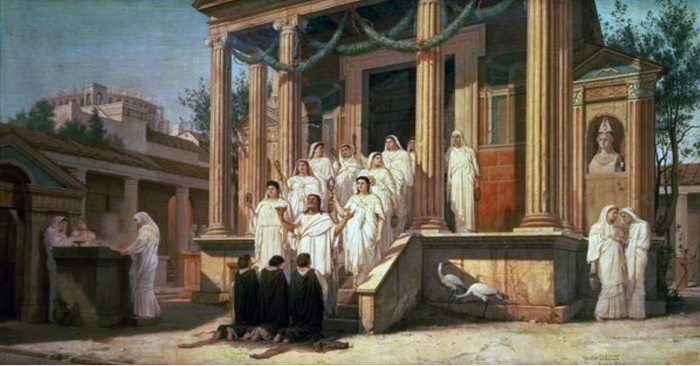 During the kingship of Servius Tullius, the number of Vestal Virgins was increased to four. Sometime later, the number of Vestal Virgins increased again to six, and this number remained until the dissolution of the institution at the end of the 4 th century A.D. The Vestal Virgins were selected from patrician families at a young age, usually between six and ten. For the first ten years, the girls would serve as novices. After that, they would be fully recognized Vestal Virgins for the next ten years. 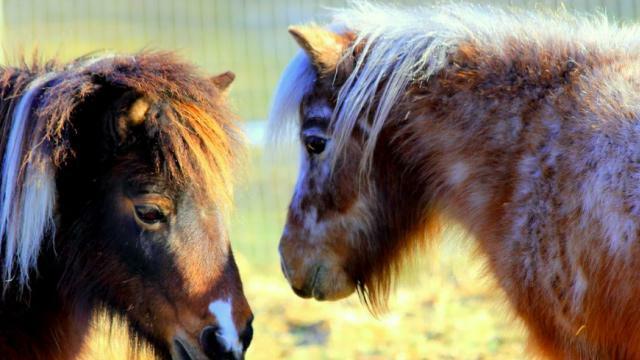 During the last ten years of their service, they would serve as supervisors responsible for the training of new novices. After 30 years of service, the Vestal Virgins would be released from their duties and allowed to live a private life. They were allowed to marry, and it was considered a great privilege for a man to marry a former Vestal Virgin. Nevertheless, from the Vestal Virgin’s point of view, marriage was considered unlucky, as they have been consecrated to the goddess Vesta for most of their lives, and many chose to continue living single lives. 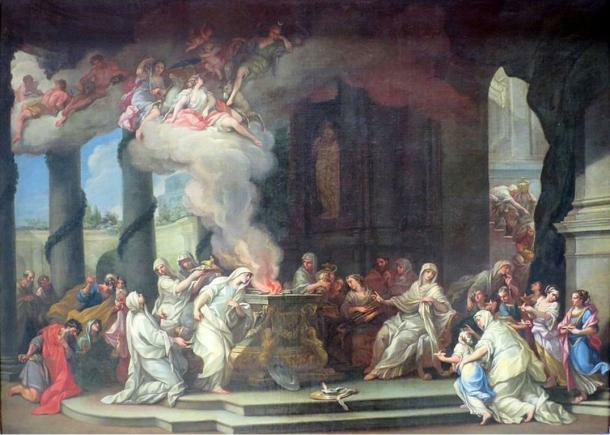 Whilst the tending of the sacred fire is the primary function of the Vestal Virgins, they had other functions as well. For instance, the Vestal Virgins were responsible for the preparation of the mola salsa (‘salted flour’), which is used in all state sacrifices. In addition, the Vestal Virgins were keepers of wills and took part in numerous ceremonies. 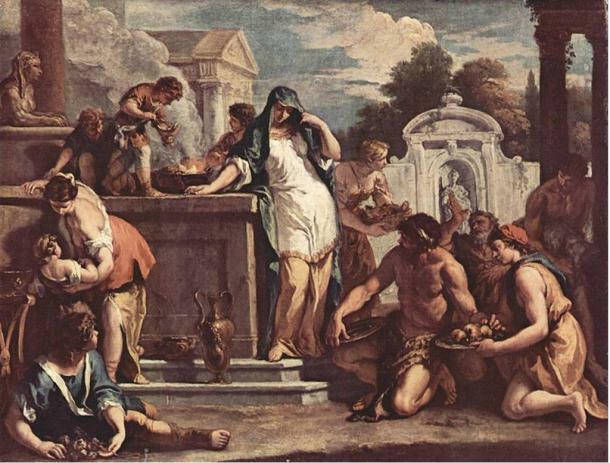 In June, the Vestalia festival would be celebrated, and the inner sanctum of the circular shrine to Vesta in the Forum Romanum would be opened to ordinary women to bring offerings. 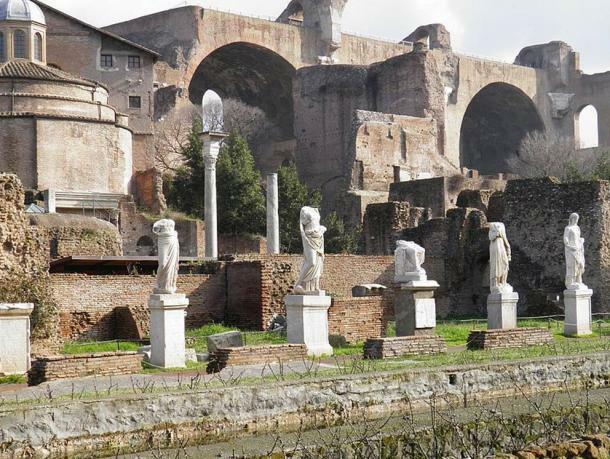 This area was usually only accessible to the Vestal Virgins and the Pontifex Maximus. At the end of the festival, the temple was ritually cleansed.